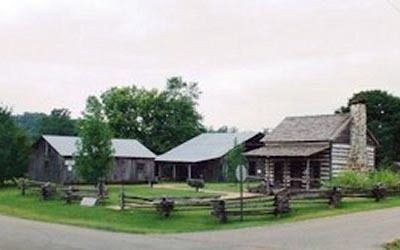 The area that became Doniphan was permanently settled as early as 1819 when Lemuel Kittrell homesteaded on a bluff above the east bank of the Current River near the site of a French trader's cabin. Kittrell soon built a grist and wood carding mill near his home. By 1841, a sizeable village had grown near the Kittrell home. The village became a regular stop on the Butterfield Stage Line and was on the St. Louis to Little Rock Highway. In addition to the mill, the village boasted an inn, store, distillery, produce warehouse, tannery, justice of the peace, blacksmith and gunsmith. On the hills above the lovely Current River, Doniphan was founded and became the county seat of Ripley County in 1847. Except for the mill, all of the businesses at Kittrell's Mill moved to the new town and were joined by several additional stores and businesses. Doniphan became the regional center of commerce. By 1860 there were plans to extend the St. Louis, Iron Mountain and Southern Railroad from Pilot Knob to Doniphan. The Civil War changed those plans. Guerilla bands soon overran the county and in September 1864, Doniphan was burned by Union troops as Confederate General Sterling Price's army was moving into Ripley County from Arkansas. Devastated by the war, Doniphan grew with the coming of a branch of the Missouri Pacific Railroad in 1883. Doniphan and Ripley County offer services normally found only in larger communities. These include Ripley County Memorial Hospital, Ripley County Health Center, modern nursing and care centers, countywide ambulance districts and a heliport. Our excellent school system includes 4 consolidated school districts, vo-tech school and community college. Doniphan has an excellent school system (with a college 30 minutes away), an ample supply of pure water, an ideal climate, and are often referred to as "the town of churches." Services and facilities include weekly newspapers, fraternity lodges, motels, banks, savings & loans companies, a fine shopping center, a radio station, and many businesses and retail stores. Business and industry is widely varied. We have several automobile agencies, a plastic factory,steel plant, machine shop, saw mills, lumber markets, a dry-cleaning plant, and other firms that offer both service and employment. A fine network of highways serve the needs of our business community. Recreation knows no bounds here! 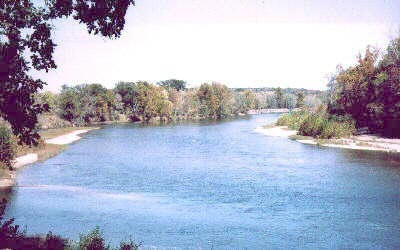 Enjoy canoeing, tubing, swimming, camping or boating on the swift-flowing, spring-fed Current River, other crystal clear streams, Ripley Lake and Fourche Lake. The area is famous as the Float Fishing Capital of the World! Fish, camp, hike or hunt in vast Mark Twain National Forest. Enjoy the solitude of Little Black or Fourche State Forests. Play golf and tennis at the Current River Country Club. Ride horses on miles of trails in Mark Twain National Forest. Spring brings blooming dogwoods, hungry fish waiting to bite and newborn deer. Summer offers wildflowers, river floats, country music shows and the Ripley County Fair. Fall has its flaming revue, followed by mild winter weather. Deer, turkey and small game hunting attract people from all over the country. The area's scenic splendor, top-notch services, exciting recreational opportunities and friendly, down-to-earth people make Doniphan and Ripley County a place where you'll be proud and happy to bring your family to live. Come visit us soon - we'll be glad to see you! Our horizon is our back yards and our rivers are our swimming pools!